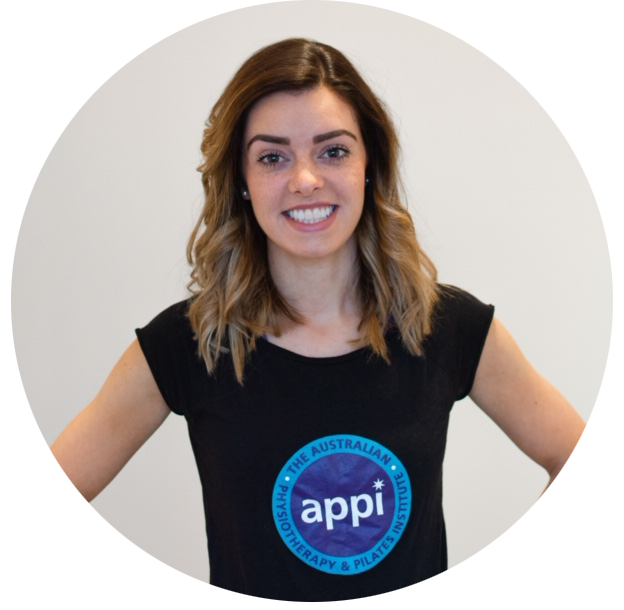 It’s the 31st December and the start of a New Year tomorrow- the time when everyone starts making their new fitness plans and goals for the year ahead!So I thought what better time than to tell you about my recent fitness progress and why I hired a personal trainer earlier this year. I’ve always went to the gym to exercise since I was about 16 years old, amongst various other things; running, ice skating, yoga, and of course pilates. 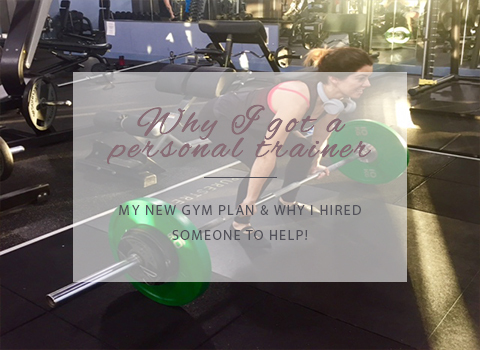 I’ve previously worked in the gym industry as a fitness and class instructor and even a gym manager for a couple of years, so why did I feel the need to hire someone to help me? Yes it comes down to these two simple facts. Despite having plenty fitness knowledge myself I was struggling to reach my own goals. I don’t specialise in personal training, muscle building, and hypertrophy and therefore couldn’t write myself the best programme to achieve these goals. I needed someone to tell me what to do, how often to do it, how much rest time to have, and in combination with which exercises. It may sound lazy that I could have researched this a little more myself and I know how to write gym plans, however sometimes when it’s your hobby and you’re doing it for you, you don’t want it to feel like work! The second fact I feel was even more important. I know how to stay focused and motivate myself and feel I’m fairly good at sticking to things…. but there is always that one time that you think “I’ve worked pretty hard so perhaps I don’t need to do that last exercise”, or “that’s enough reps now you’re starting to tire”, when in fact this is when your gains are made! When you are getting too tired to continue and your muscles are aching but you push on through anyway. Unfortunately I can’t push myself to those limits and needed the PT to make me accountable for my training. When you check in every week there is no excuses or backing out, you just get the job done, and then some more too! My biggest issue however was that I was trying to lift heavier weights (to get more of those gains!) but because they were getting heavier I was getting more afraid of failing. For some exercises this isn’t a problem, you just drop it and walk away, but when you’re trying to gain more on your bench press or squat and suddenly on that last rep you can’t actually move anymore and you’re stuck… you really need someone there to help you through! Just having someone there to spot you provides so much more confidence and let’s you achieve more than you could alone. So I hired a PT at my gym and he put together a programme that would hit my goals. He worked with me (forced me) to achieve every single rep in the plan week after week. The first workout on each plan we did killed me every time, but as my body got used to it I managed myself and this led us to progress to hitting new PBs literally every session (high five to me!). My body just wasn’t used to the overload, the strict sets/reps, and rest times but this is how I should have been training to reach my goals. I feel stronger than I’ve ever been and therefore healthier and fitter. I have the vanity to enjoy the physical changes (it’s my main reason for doing what I do) but I think the mental wellbeing and psychological benefits are undoubtedly the best result of a regular gym plan. It’s difficult to find the time to get to the gym as often as I’d like ( my gym is probably as far away from my house as I could’ve picked) but I like the sense of accountability when I arrive there, complete my plan, and join the atmosphere alongside others working towards their goals too. This feels different at my new gym, having my PT work there and friends who train there. Going at regular times too you get familiar with those who also train at similar times. The social aspects are just as important (back to that mental wellbeing) and if you can share it with friends then that’s even better!